This movie always gets a bad rap from Houdini buffs due to its inaccuracies. I've always loved this movie...I remember always wanting to see it when I was a kid but my parents couldn't find it at any video rental store or anywhere for sale. Now the internet would solve all that quickly, but my parents were slow to pick up on all that in the early 2000s! I remember one Christmas, I was probably 7 years old, "Santa" brought me a VHS tape of the movie. I later found out that my parents had to scour through the collections at an old mom & pop collectible shop to find it. 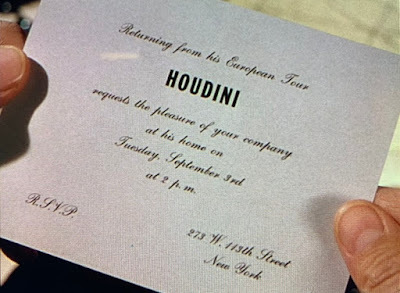 I spent that Christmas night watching the movie with my father, the man who introduced me to my love of magic and my fascination with Houdini. Returning to this movie makes me feel like a boy again. Thank you for sharing your keen eye for details like these! What a wonderful memory. Thanks for sharing, Ethan. I believe Houdini's "273" home exterior was on the classy Washington Square block of the New York backlot, while the exterior of Mama's house, where Harry brings Bess home after they eloped, was also on that same lot but on the adjacent brownstone block. Those exteriors are beautiful and quite convincing. The fun but far less convincing New York lot at Disney's Hollywood Studios was recently demolished to make way for Star Wars Land. Oh, yeah, I forgot about Mama's house. Next time I'm on the lot I'm going to go in search of these and take pics. The Great Houdinis 278 facade still stands at Fox. Be awesome if this one does as well. That would be awesome; I'd love to see present day pics of those exteriors. 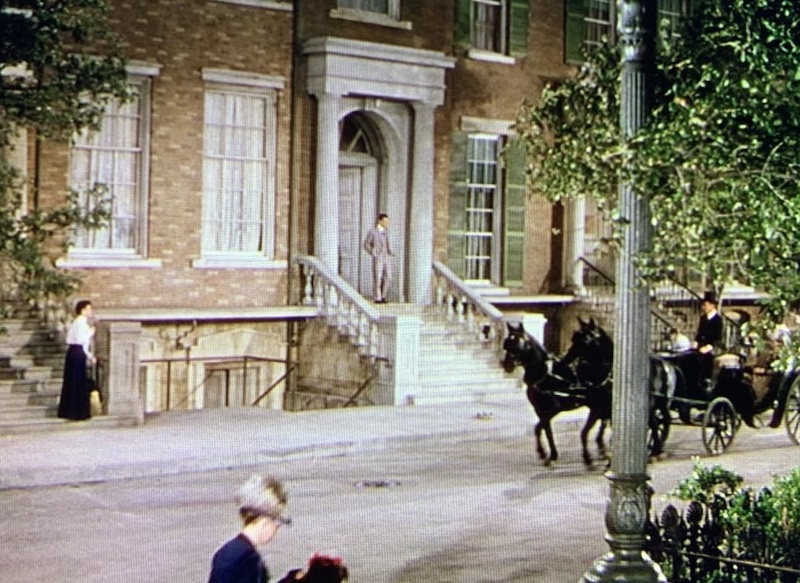 Ironically, the brownstone block they used for Mama's house in the Tony Curtis film is closer to the actual block where 278 stands (though the Washington Square block looks more glamorous). But even in New York, I've yet to come across a brownstone that looks anything like the real 278 (although there could have been in Harry's time). It is very distinctive looking, and rightly so!